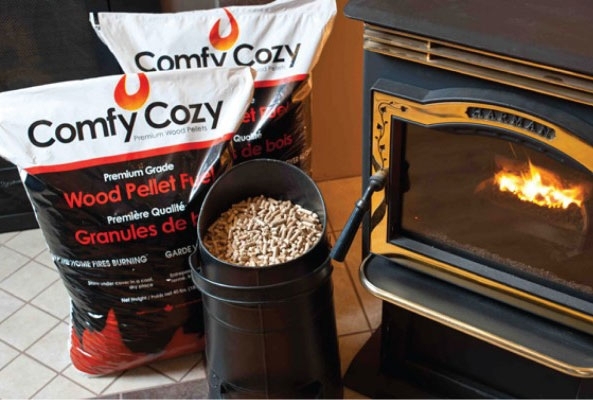 Comfy Cozy is manufactured to exceed industry standards established by the Wood Pellet Institute. Available in 40 pound bags, by the ton or private branding.These premium softwood pellets are manufactured by Marwood, a company that uses its own wood fibers to control the source of the products. Comfy Cozy pellets have extremely low ash, and consistently exceed industry standards for Premium pellets. Their high heat output makes this brand a great value. All wood pellet fuels are not created equal. Variables include quality and type of sawdust used, quality control, pellet density, pellet length, quantity of fines, ash and sodium as well as experience in manufacturing. groupe Savoie and walmart – these this season are the worst! At the first of the winter, the pellets were great. But the last two lots have been disappointing. There was so much dust and fines that there are lots of sparks and twice the auger became totally clogged. First time I called repair person. Second time I saved myself the service call and fixed it myself. Not cool. I have been burning these pellets for a number of years with no problems, but this year every bag of pellets has an unusual amount of dust, so much so that I have to sift each bag because the amount of dust in the bag clogs up my auger, my question is, is this problem been fixed or am I going to have the same problem next year because I already purchased next years supply.